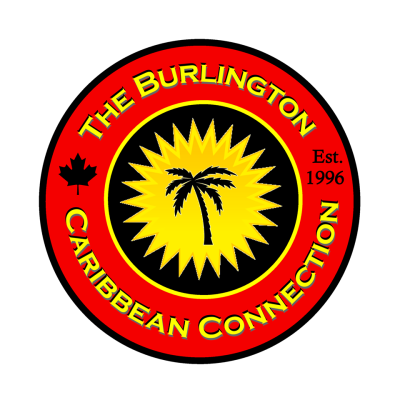 The Burlington Caribbean Connection started in 1996 as the Burlington Caribbean Youth Connection later changed to its current name The Burlington Caribbean Connection and referred to fondly as the BCC. Over the past 20 years many have joined as members and many have left but the dedicated ones remain and very committed to the BCC mission and Vision . The BCC has partnered with many groups and Agencies in the Burlington and surrounding area and has maintained many relationships with local businesses. The BCC has maintained its Scholarship Fund with the assistance of Smith’s Funeral Homes, Grant and Bernhardt Law Firm(Toronto) and recently Adrian Johnson(Toronto) Each year the BCC has presented either one or two awards to assist students going off to University or college. The BCC can also boast that we have donated money to the Local Hospital and many other agencies in the area as well as Internationally when there is a disaster and we will endeavor to continue. The BCC introduced Black History events to Burlington with the assistance of the City, HRPS, School Boards and many more. We have participated in as many initiatives as we could and ensured our voice was heard from the Caribbean Community in order to promote awareness of our Caribbean Culture. As we continue our presence in Burlington during the past 20 years we want to ensure that we are inclusive and therefore embrace anyone who wishes to join us and become a member. Mandate established and an application for non-profit status was obtained with 10 members on record. Fundraising started with a Spring Brunch in May and a Christmas Dinner Dance in December and for fun, the children’s Christmas Party and a summer picnic. Scholarship Committee established and guidelines for application of a scholarship award was crafted. The concept of monthly meetings was born and the opportunity to have these meetings in the Community Room at the Locust Street Police Station was afforded. Jessica Riley retired and moved to sunny Anguilla and Janet Mullin assumed the role of President. This year marked a major milestone for the organization –two scholarships and one bursary were awarded from the efforts of our fundraising events and donations. Ancilla Ho-Young assumed the role of President. Printed our first set of T-Shirts and most importantly changed the name of the Organization to The Burlington Caribbean Connection (BCC) to reflect the current membership, as the youths had moved on to their busy lives. We were entertained by the “Cream of the Crop” featuring City TV’s own meteorologist Harold Hosein at the Spring Brunch. To complete a very successful year we received our first donation from Grant & Bernhardt Law Firm to our Scholarship Fund with Kim Bernhardt attending to present the three awards at the Dinner Dance/Gala and Scholarship Awards Night in December at the Burlington Art Centre. We were honored to have among our guests Mayor Robert MacIsaac and Halton Regional Police Chief – Ean Algar for the first time. Assumed hosting the “Caribbean Nite” event in September from the Caribbean Nurses at the Joseph Brant Memorial Hospital and agreed to continue the tradition set, to donate proceeds from this event to the hospital. This year also marked the start of a very fruitful relationship with the Halton Multicultural Council(HMC) when the BCC became a member in good standing. Fundraising efforts in partnership with the Joseph Brant Memorial Hospital, YMCA and Halton Regional Police service for Hurricane Relief in the Caribbean. Burlington’s inaugural kick- off of Black History Month in February with a Reception at Robert Bateman High School. Performances by community artists, students from local high schools, and group members highlighting great black people of the past and recognizing and a few from our own community. This was followed later in the month at Aldershot High School with a performance of “Ain’t Misbehavin” by the Canadian Caribbean Association of Waterloo Region. Other accomplishments for this year included supporting one of our members to lead the “Spelling Bee” in Burlington-Sue Daharry . Ended the year with a very successful Gala & Scholarship Awards Night giving one award to a student in his first year at McMaster University. Partnered with Halton Multicultural Council for the United Way kick off in Burlington. Celebrated the BCC’s 10th Anniversary with a Gala at Tansley Woods with past recipients of a Scholarship Awards in attendance telling about their successes and how the BCC helped. Started off the year with Black History month activities –first event at Robert Bateman High School when Andrew Moodie the playwright presented his version of the story of Elijah McCoy in “The Real McCoy” The next event was at Nelson High School, Broadway Musical “Once on This Island” directed by Gordon Davis. Events were free with donations at the door. Partnered with Canadian Blood Services during February to promote the need for diverse blood donors. The next event was a return of the Caribbean Dance Troop from Toronto by popular demand. Co-hosted the “Haitian Dance Troup” with the Halton Catholic District School Board in November raising about $1000.00 to help with building a school. End of January hosted another kick-off event for Black History Month at the Burlington Mall with our community partners. Unveiled the Legacy poster donated by HRPS as well as negotiated a display of books by black authors at Coles bookstore. Through the two school boards a drummer, story teller and dancer was hired to work with students for a week culminating with a matinee and then a public performance. Show was well attended and picked up by COGECO and the local newspapers .Raised $400.00 that night to donate to the Haiti Relief Fund.